Coffee is a big thing for us. Ours is supplied by artisan roasters Stewarts of Trent Bridge. 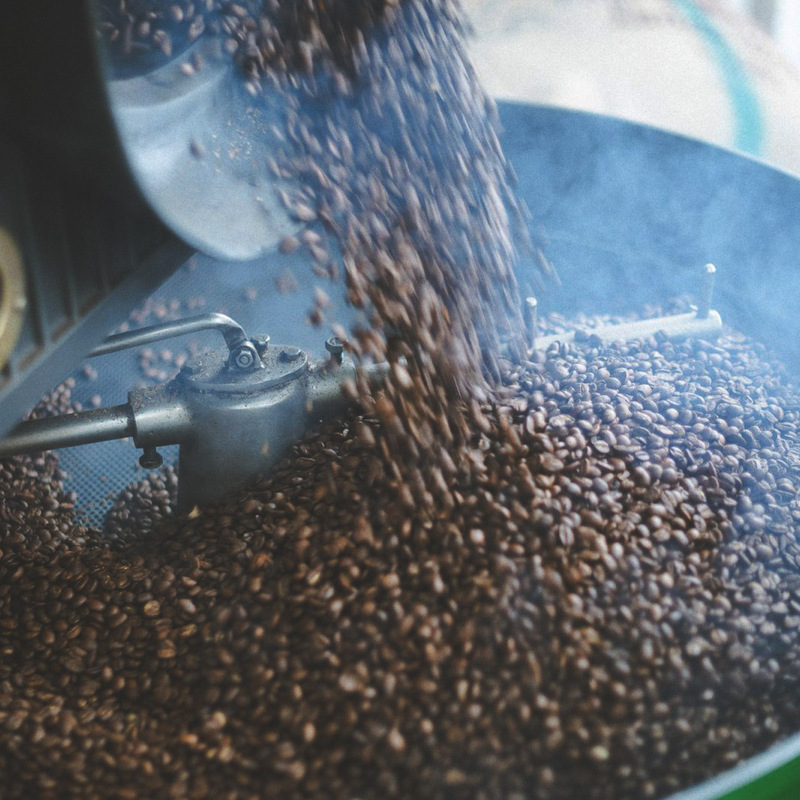 They’re just next door, so you won’t get fresher roasted coffee…and carbon-neutral deliveries are a given! 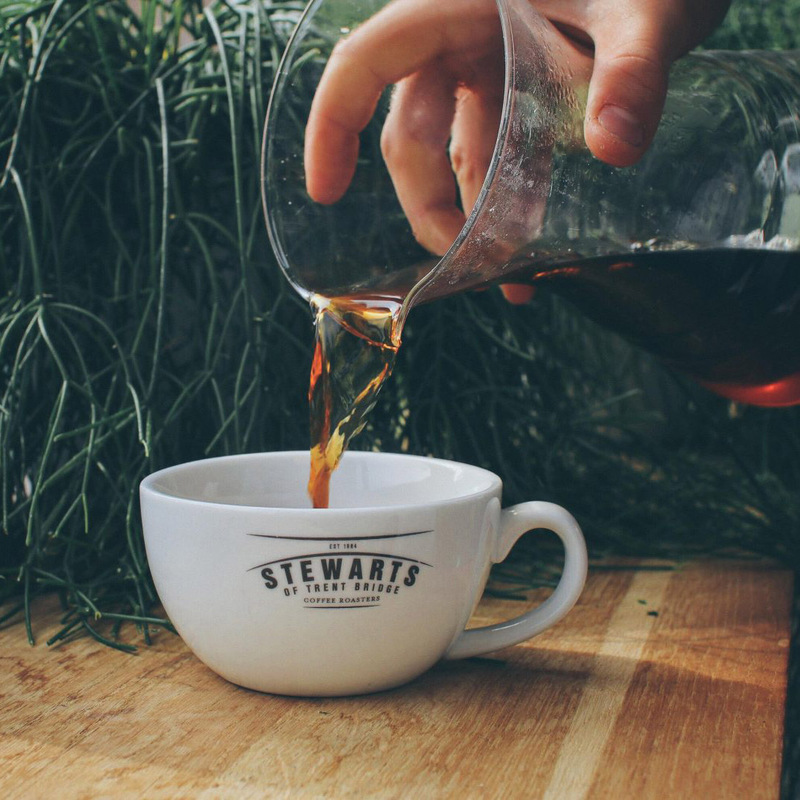 Stewarts have been roasting coffee since the 80’s, but there’s nothing retro about the amazing roasts they’re turning out. 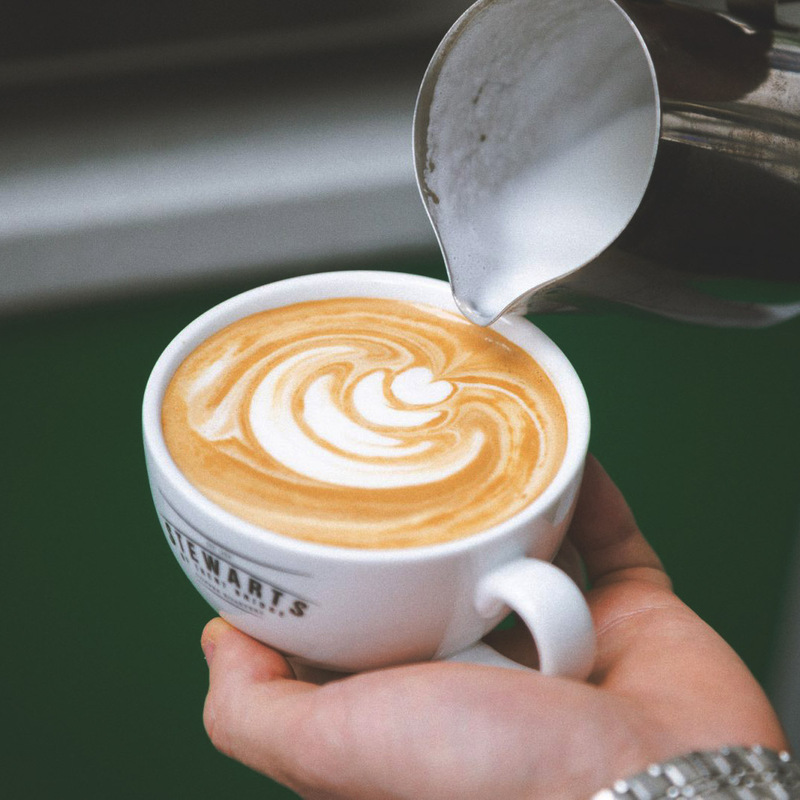 Our own coffee is a blend of Brazilian and Honduran all-Arabica beans, with almond notes and a smooth finish - a perfect cup of coffee no matter how you drink it. We sell our Sunset espresso and plenty of other fine blends and single-origin coffees from the shelf, so take a little bag of joy home whilst you’re at it. 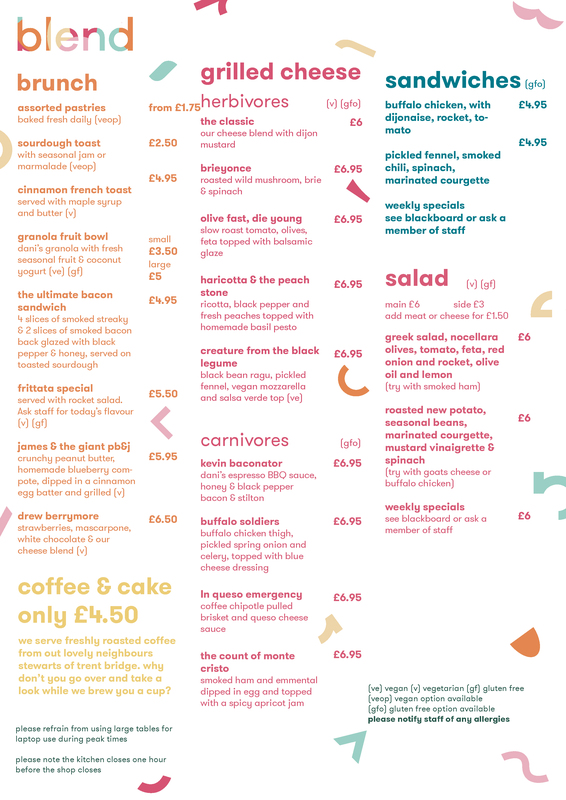 For more information about our caffeine-fuelled neighbours, check out www.stewartscoffees.co.uk, or just follow your nose, and drop in to see them.